Kicking Hunger was started in 2012 by Mariemont kicker Hans Hinebaugh when he returned from a mission trip where he saw extreme poverty for the first time. Hans came home determined to make a difference by feeding and caring for the homeless and hungry in his own city. 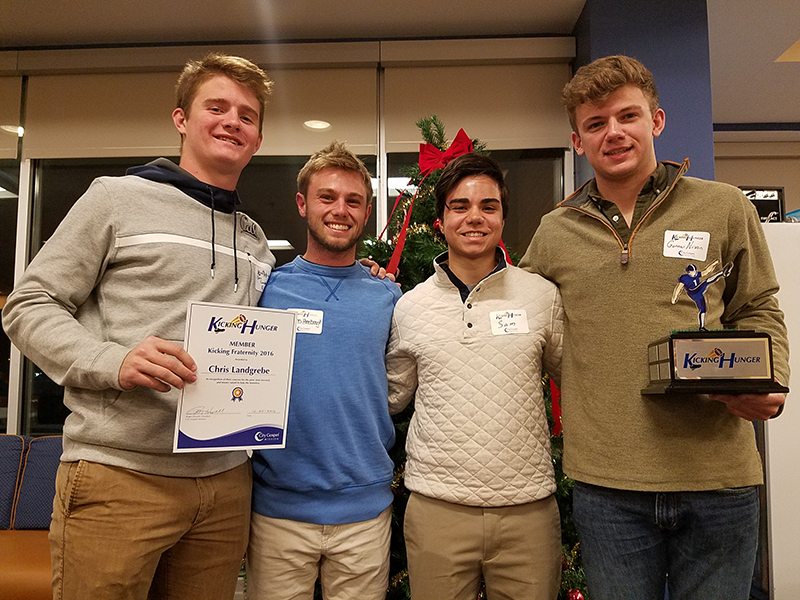 He asked friends, family, and businesses to donate money for each point he scored as the kicker on the Mariemont football team. Other kickers have since joined the effort, and in six years, more than $38,000 has been raised. That’s enough to provide a meal and care for more than 19,000 people! The following high schools are raising money to feed and care for the hungry and homeless with every dollar donated. Will you join us in supporting these kickers that are making a difference? We would love to have you and your school join our movement to break the cycle of poverty and despair in our city! If this is something you’re interested in or if you have any questions, please reach out to Matt Baker at mbaker@citygospelmission.org. Calling all high school football fans! Your business can help feed the hungry while supporting local high schools through a corporate sponsorship. Opportunities available to sponsor one specific school of your choice or the city-wide event. Learn more about sponsorship.